In May 2018 DARA and DAHLIA conducted the evaluation of UNICEF´s response to hurricane Matthew that struck Haiti on October 4th 2016. DAHLIA undertook the video explaining the process of the evaluation. A video maker was send during 5 days to Port au Prince, Les Cayes and Jérémie. He closely coordinated with the evaluation team already in the field and with UNICEF Communication and Evaluation team. 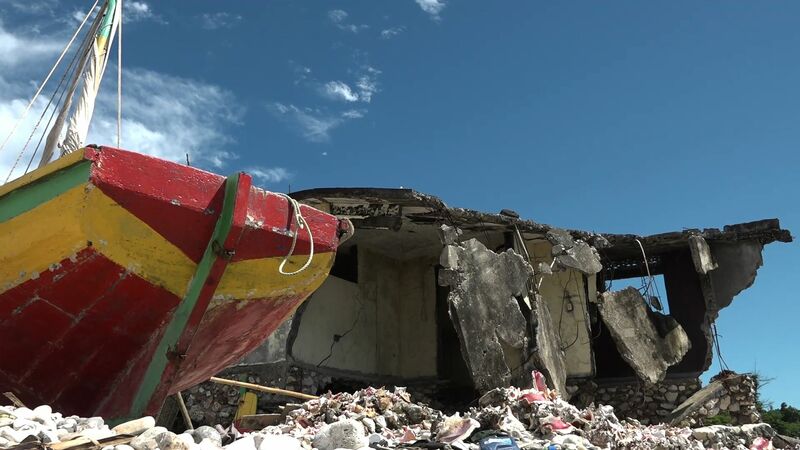 Video material collected supported the findings, including observation of damages and reconstruction, interviews with affected populations, local authorities and donor. This gave an opportunity to validate, check and deepen the discussion, in some cases further details emerged and clarifications were made. The video captured both successes and challenges. It was edited in June 2018. The following video aims to help explaining findings and recommendations on a more direct and accessible way with the focus on improving humanitarian aid performance and to deliver a more effective humanitarian response to Haiti’s most vulnerable population.